Every single croissant, chocolate, cocktail, and meal I had in Paris. Some notes: I rated everything using a four-star scale, New York Times-style: "One star, good. Two stars, very good. Three stars, excellent. Four stars, extraordinary." If it has no star, it doesn&apos;t necessarily mean I didn&apos;t enjoy it, it just means it didn&apos;t stand out. So if you&apos;re overwhelmed by the number of places on this list, feel free to scroll until you see a star! Several of the restaurants we went to for dinner were pricey, but the benefit of booking our trip so far in advance was that we were able to save for it on Qapital. For this trip, I set up an automatic withdrawal to round up to the nearest $2 every time I made a purchase, so that I had more than enough funds for all of the food, without even feeling like I was saving (here are some of my tips for saving for travel/ traveling on a budget). Dinner: Le Caveau du Palais - My boyfriend&apos;s dad&apos;s description of this restaurant is one of the first things that inspired our trip—he described ducking into the quaint bistro, just a short walk from Notre Dame (it&apos;s also on the Île de la Cité), during a rainstorm and having one of the most memorable meals of his life, twenty-some years ago. On our visit, we learned almost immediately that while quaint, it wasn&apos;t the classic French food we were hoping for. In the time since, they&apos;d apparently re-branded to be a little more experimental, so our escargots came wrapped in filo dough instead of shells, among a few other changes. But the thing that got us was that it was painfully silent, to the extent that the sound of our wine being poured literally echoed through the dining room. We learned Parisians do not eat dinner before 8, and we were far too early. 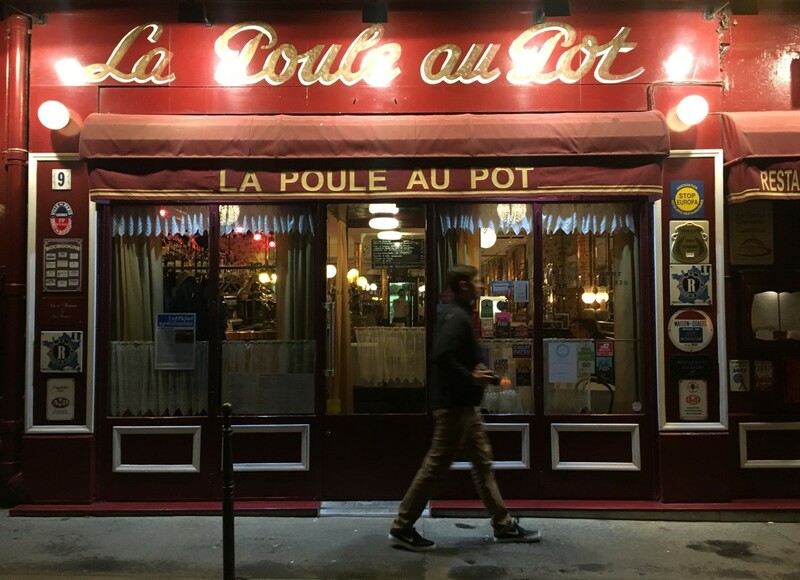 **Dinner 2: La Poule Au Pot - Since we were determined to have a good meal our first night in Paris, we set out in search of another restaurant for second dinner (naturally), and stumbled upon this bistro, where we ordered the restaurants&apos;s namesake, their chicken soup, which was so deeply satisfying and delicious. It arrives in an enormous pot with potatoes, leeks, carrots, and beef, and ceramic jars of cornichon, Dijon mustard, and salt. I&apos;m pretty sure it could cure any ailment. **Drinks: Experimental Cocktail Club - Over the past few years, Paris has experienced a wave of amazing cocktail bars, with ECC leading the fold (as I understand it, for a long time, mixologists were wary of opening bars in Paris; since wine is such an important part of the culture, they thought cocktails might fall flat). We ordered the Los Feliz which came in a cactus glass and tasted like the best tiki drink layered with rum, molasses, and lime; the Experience 1, a vodka, basil and lemon-based drink; and the Old Cuban, which had rum, Champagne, and fresh mint. All three were delicious. 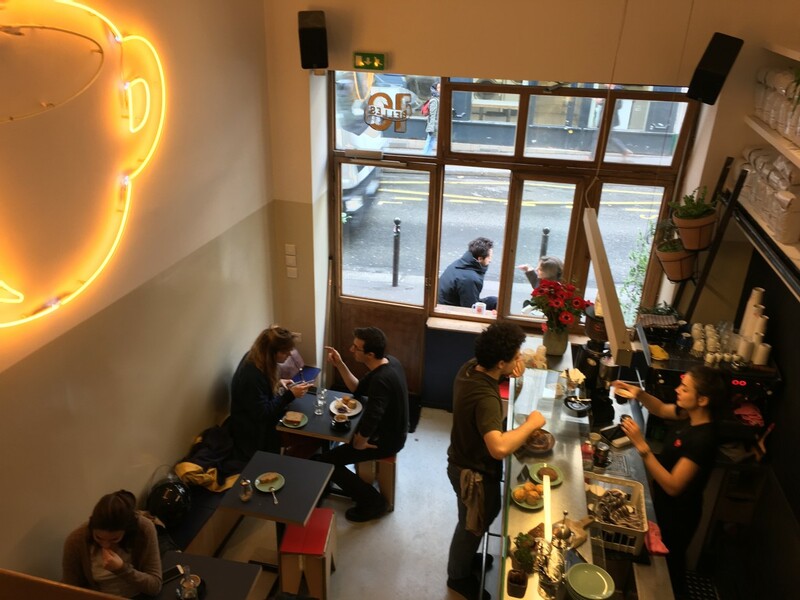 *Breakfast: Café Charlot - We started multiple mornings at this charming bistro just a short walk from our Airbnb apartment in the Marais, with a cappuccino and croissants. Since we went a few times, we recognized the same people having leisurely breakfasts each morning before work (which briefly made me re-think all of my life decisions). Snack: Wild & the Moon - This very healthy, very hip, very full-of-tall-beautiful-French-ladies juice bar had a drink that I credit with curing my jet lag. It was (appropriately?) named, "The Tiger: Everlasting Stamina" and contained apple, orange, sweet potato, turmeric, black pepper, and cardamom. Coffee: Lily of the Valley - To be honest, all I wrote in my food diary here was "flowers on the ceiling #doitfortheinsta" which is all you need to know about this place. It&apos;s cute, but not necessarily great coffee (but, to be fair, it&apos;s a tea place...). There are a few locations around the city and they&apos;re worth ducking into if you need a caffeine fix. *Snack: Marcelle - We found this tiny, cute café while trying to go to another tiny, cute café that we didn&apos;t quite catch before it closed for the day, Claus. I took no fewer than ten photos inside for design inspo, and the ginger hot chocolate I ordered to-go was delicious. Hotel Costes: We had every intention of going to the beautiful bar and patio here, which Emily and Geoffrey loved on their trip, but since our trip coincided with Fashion Week, it was filled to the brim with models and people who were my height seated, so we booked it out of there after briefly considering their cocktail menu (which looked great!). *Snack: Ladurée - There are enough Ladurées in the States at this point that you may have already had one of their perfectly crunchy, almondy macarons and I felt a little silly going in when we have a few locations in L.A. now, but their rose macaron is, and forever will be, my favorite dessert. *Drink: La Pointe Saint-Eustache - After walking around for miles (I later learned thanks to my iPhone Health app that we walked 15 miles this day. Fifteen! ), we needed to sit with a drink. This bar proved itself to be the perfect spot to sit and people-watch with a kir royale for me and a glass of sancerre for my boyfriend. 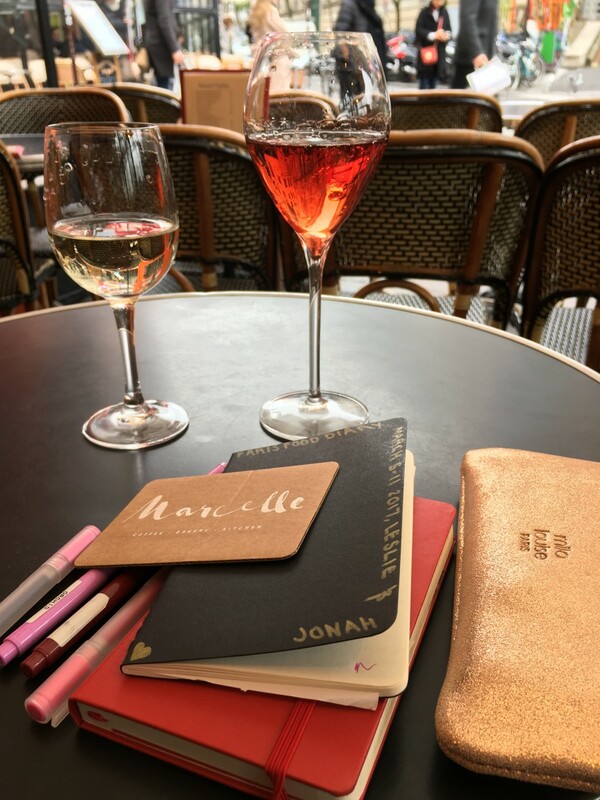 P.S., This pre-dinner drink became our favorite daily routine while in Paris—and honestly you could go to any bistro (not just those I&apos;ve listed here), grab a seat outside, and have a wonderful evening. 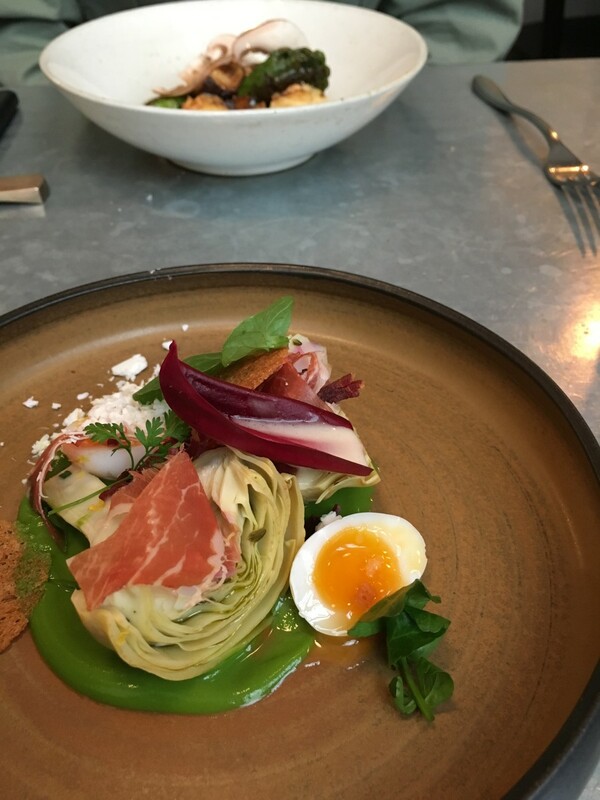 ***Dinner: Verjus - This restaurant isn&apos;t very French at all—it&apos;s owned by an American couple from New Orleans and St. Paul, respectively—but it&apos;s beloved by expats and French alike (we found recommendations from Mimi Thorisson and David Lebovitz). The first things I noticed upon walking into the dining room, which is in a 19th century house, were the large, sage green-trimmed arching windows and mismatched flea market chairs. It&apos;s beautiful, but not pretentious. We opted for the wine pairing (Verjus, after-all, literally means, "the juice of unripened grapes") to go with our tasting menu meal. 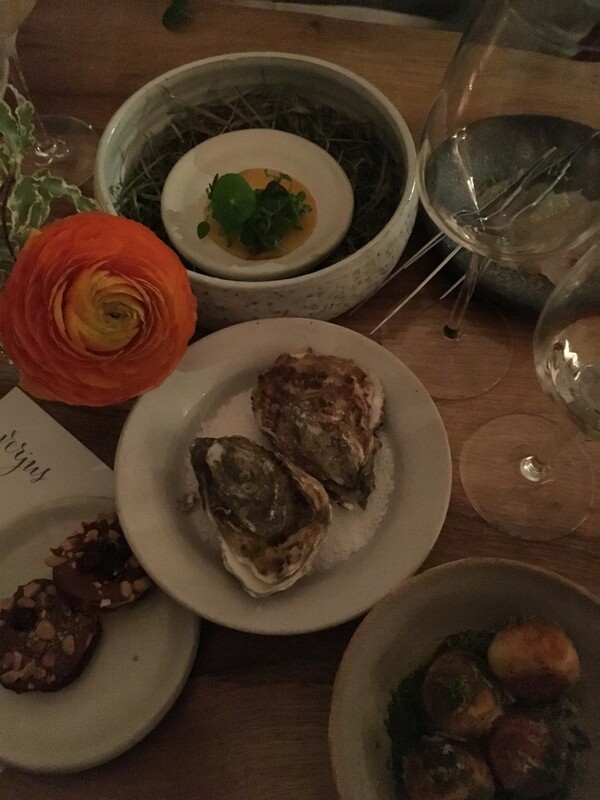 It began with oysters with a rhubarb-vinegar mignonette, then launched into a series of bite-sized appetizers (salt-baked rutabaga with mustard, foie gras, seaweed gougères). My favorite dish was a 47-day-aged beef, and my favorite wine was the final glass: a very sweet, aged Madeira from Justino&apos;s (which is known for being one of the oldest producers of Madeira, a fortified Portuguese wine). **Drinks: Danico - Located at the back of a very bustling restaurant, this bar had the feel of a speakeasy. 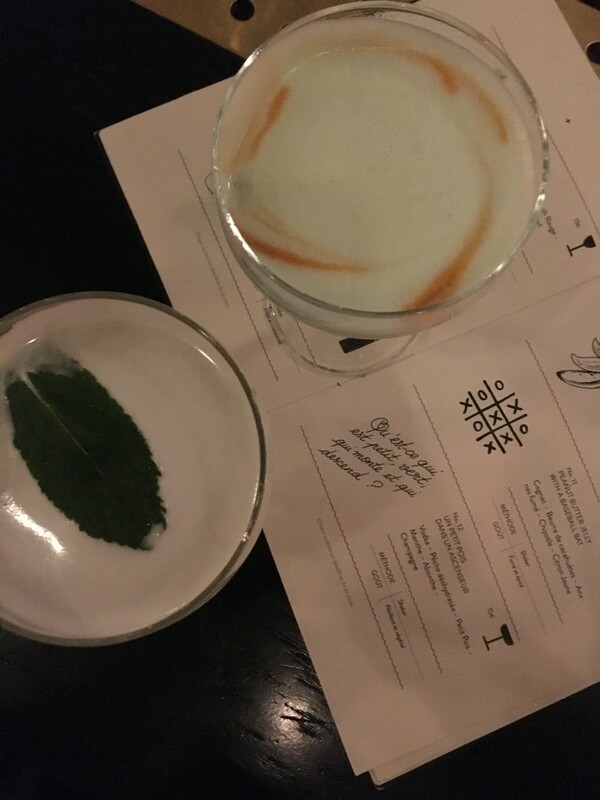 Their tongue-in-cheek, illustrated menu offers 12 different cocktails made with 12 different spirits, with icons of each corresponding glass (which I always appreciate). I ordered an "Un Petit Pois Dans L&apos;ascenseur," which was the answer to the corresponding illustrated riddle (pictured above), and it was delicious. *Breakfast: Café Charlot - Same café, but this time we had soft-boiled eggs and coffee. *Snack: Fromagerie Jouannault on Rue Bretagne - My boyfriend made it a goal to stop into every cute cheese shop we passed by and this was right across from Café Charlot and on the outer rim of the excellent open air market, Marché des Enfants Rouges. We got a figue (goat cheese shaped like a fig, with one inside), which we ate while walking. 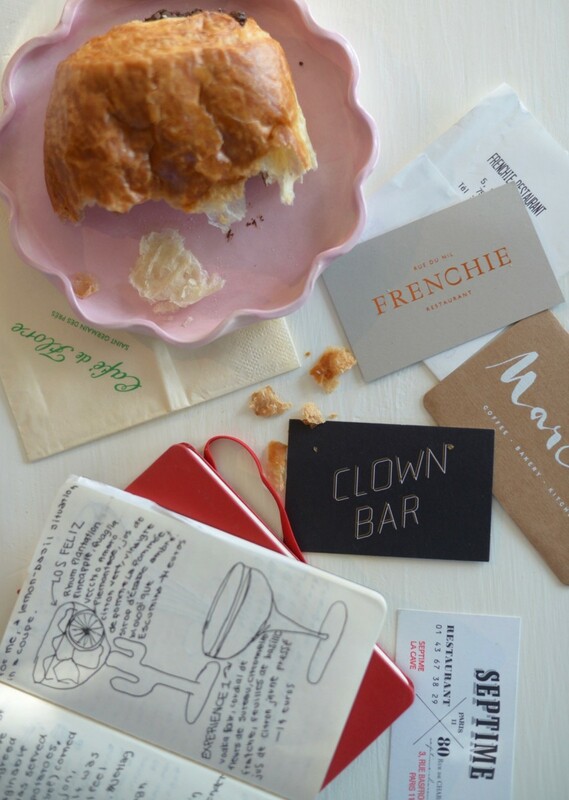 *Coffee: Ten Belles - Paris is filled with adorable, very hip coffee shops. This one had a very cool neon sign of a coffee cup and upstairs seating that overlooked the coffee bar. I ordered a café crème which became my go-to for the rest of the trip (from what I gather, it&apos;s basically a cappuccino with two shots of espresso and less foam, but if anyone knows what this actually is, I would love your insight!). **Bakery: Du Pain et Des Idées - The French woman at the counter of this old-school, tiny bakery was so intimidating (but I think that added to its charm?) that we panicked and pointed at the first thing we saw, which was a cheese and honey roll. It was so good we almost got up the courage to go back in for a croissant. Almost. 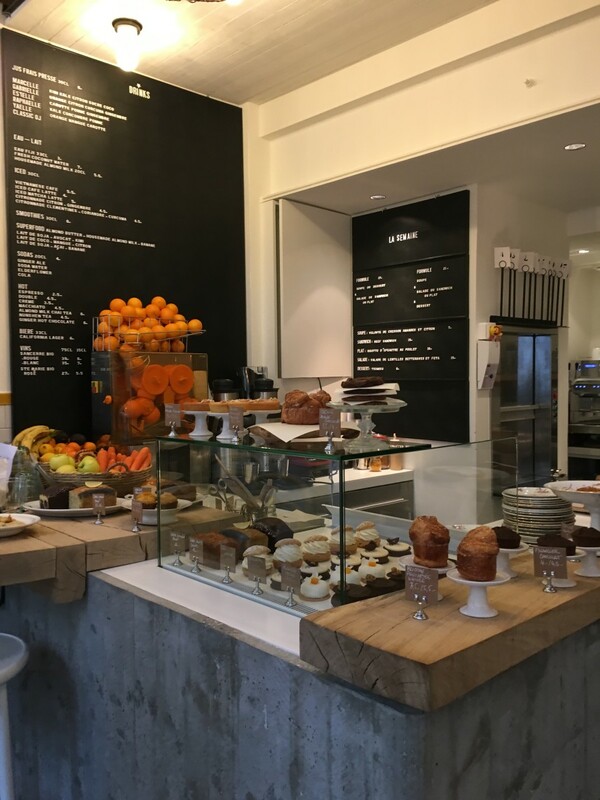 **Bakery: Liberté - This bakery has a very old-meets-new aesthetic, with white neon lights that outlined the cracked ceiling and one of the best lemon tarts I&apos;ve ever had. 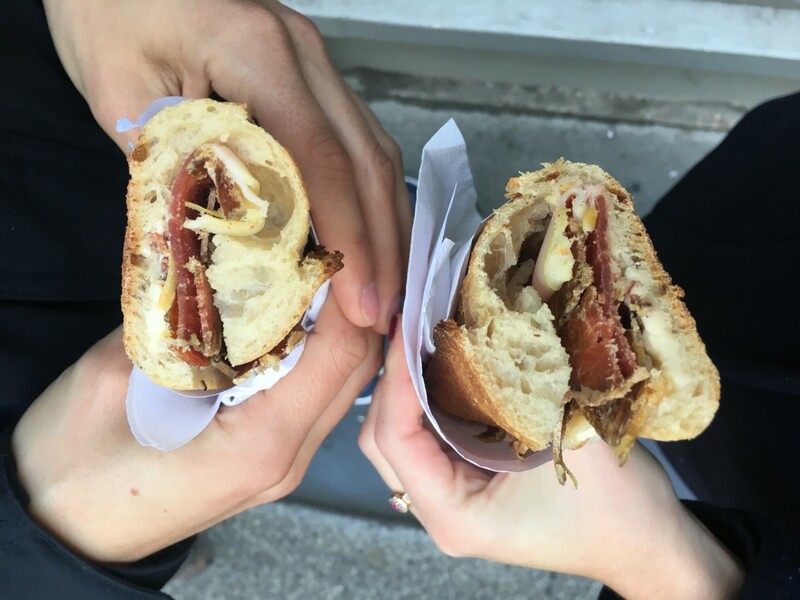 **Snack: Fromageries on Rue Des Martyrs: We stumbled upon this street lined with butchers, fish stores, and cheese shops and grazed our way through them. This was also the point in the trip where I learned that petits saucissons (bite-sized cured sausages but saying "petits saucissons" sounds way cuter) make for the best on-the-go snack. ***Lunch: Hotel Amour - This is not a particularly great restaurant—we split a fruit salad and Croque Madame (along with a kir and a negroni) and nothing was out-of-this-world good—but it deserves three stars on cuteness alone. We sat in what looked like a secret, glass-enclosed greenhouse, which you would never expect considering the bustling neighborhood it&apos;s in. It&apos;s really the perfect place to sit with a glass of wine and a light lunch. Snack: Henri Leroux - A classic chocolate shop that had delicious caramels. 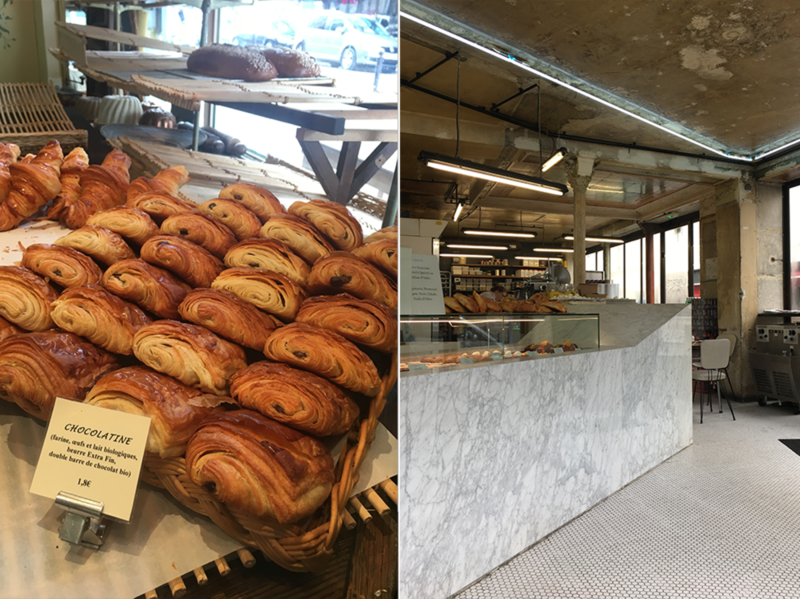 **Bakery: Poilâne - This was probably one of our favorite pain au chocolates of the entire trip—so good that we returned for it more than once! 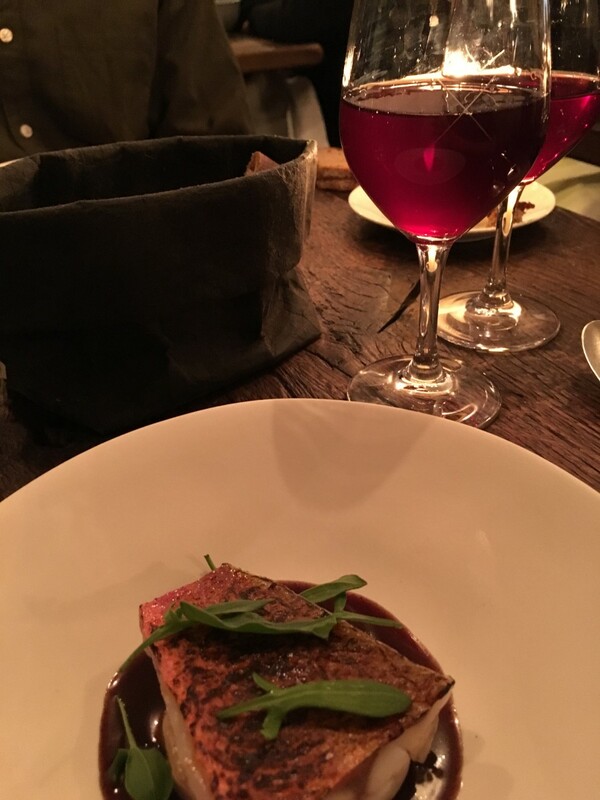 **Drinks: Le Saint Jean - This was one of my favorite bistros of the entire trip. Located on a busy street in Montmarte, we sat at a table outside for hours with kirs and just people-watched. The best part was that everyone seemed to know each other! As commuters walked down the street, they&apos;d recognize someone sitting outside the bistro and come join them for a drink—it was so fun to watch. Dinner: Guilo Guilo - Unfortunately, this is one of the only places I can&apos;t recommend. 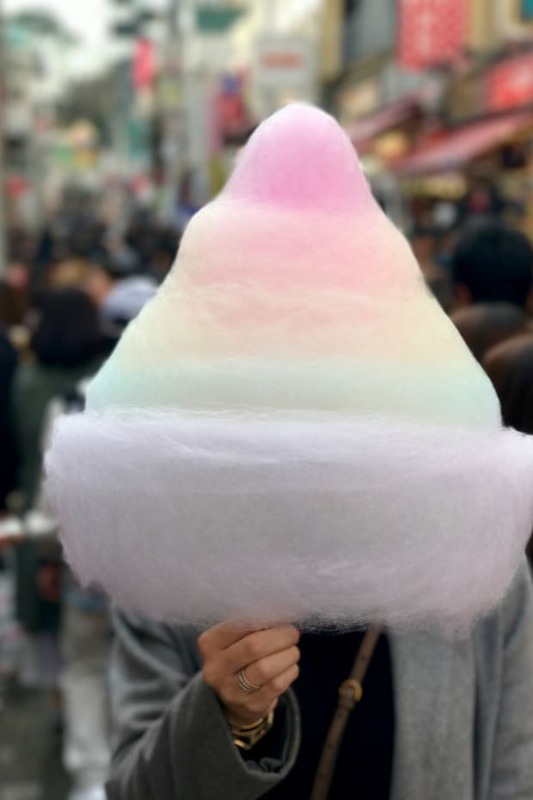 My boyfriend suggested it since he went to their Kyoto location years ago where he had one of his all-time favorite meals, but we were both disappointed with the one we had here. The small restaurant only serves about twelve people at a time which is very cool, but most of the dishes were, to me, almost flavorless or had an overly slimy or grainy texture. It also didn&apos;t help that the chef was sick and spent the entire meal coughing directly onto the food before serving us. I don&apos;t consider myself a germaphobe but even this freaked me out, though your experience may be different! **Drinks: Little Red Door - This was one of my favorite bars we went to, mostly for its concept. Like serious cocktails bars I&apos;ve been to in the States (I&apos;m thinking of Drink in Boston and Please Don&apos;t Tell in New York), the seats are assigned, restaurant-style so nobody&apos;s too cramped. 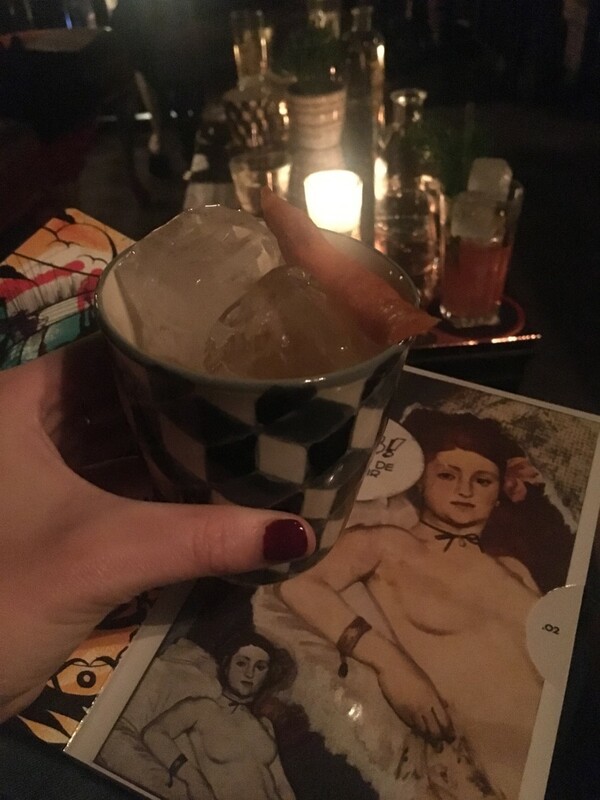 As soon as you sit down, they hand you a menu that has twelve different illustrations, each of which are an artist&apos;s interpretation of a cocktail. All you have to do is pick your favorite illustration, and they&apos;ll bring you the corresponding drink. This can of course end badly—my boyfriend received an absinthe-based drink which is one of the only types of alcohol he can&apos;t stand—but I loved my tequila-and-carrot drink. 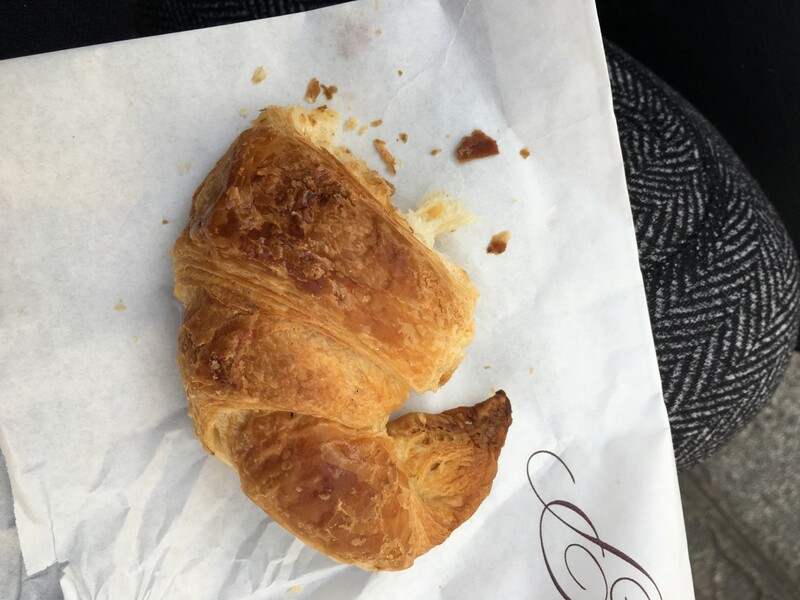 *Breakfast: Loustic - Since a run took up most of this morning (we were in Paris a week before I was running the L.A. marathon), we grabbed a quick café crème to-go. 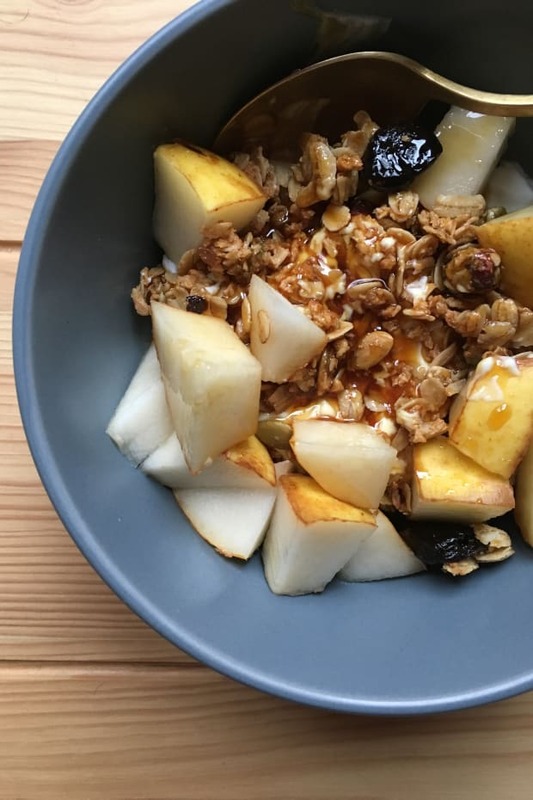 While we didn&apos;t eat there, my coffee was delicious and I spied a granola that looked amazing. *Bakery: Mireille: I got an enormous meringue here that I kept in my purse and snacked on for the rest of the trip (as if I needed more sugar...). 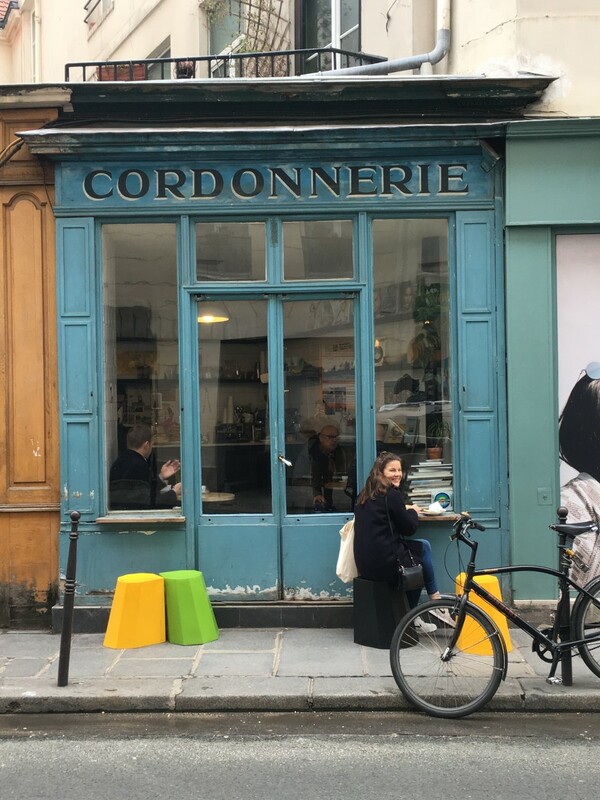 **Snack: Caractère de Cochon - The best way I can describe stepping into this tiny butcher is that it was like stepping into a shrine to ham and butter sandwiches. Sausages hung from the ceiling and overflowed from shelves, there were baskets of baguettes, and piles of butter—the salted butter and dry cured ham sandwich I had from here was one of the best things I ate the entire trip. Bakery: L&apos;Éclair de Génie - This is a chain, with several shops around Paris. The eclair I had was delicious, but a little too cloying—I believe it was passionfruit flavor, though I ate it too quickly to snap a photo or take any notes (my bad). *Snack: Pierre Hermé Chocolate - Another great chocolate shop where I bought a salted caramel truffle. 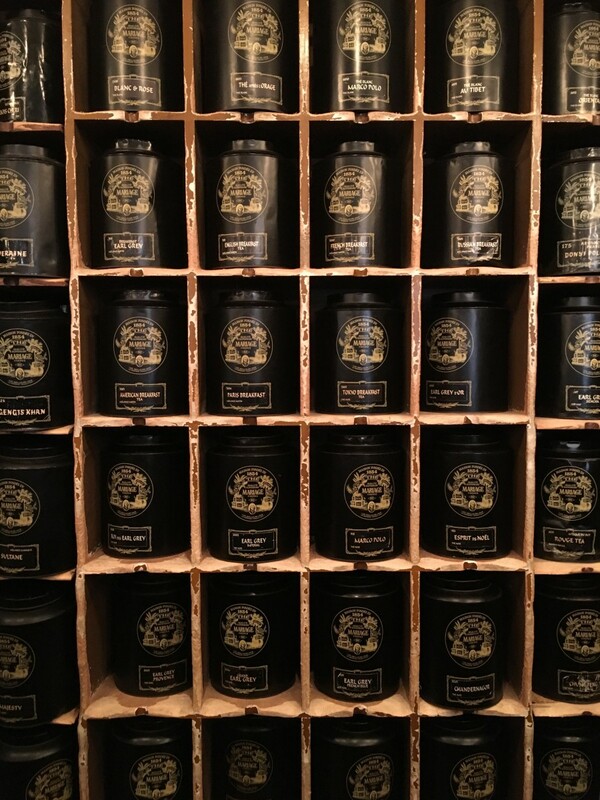 ***Tea: Mariage Frères - This tea company has been around forever—we&apos;re talking circa Louis XIV, but they didn&apos;t open their first official store till 1854. Still, that makes it one of the oldest tea stores in Paris, if not the world. Being inside of it reminded me of the scene in Harry Potter where he picks out a wand—there were so many options (just look at the wall pictured above) and the people who worked there were so knowledgeable. My boyfriend&apos;s dad, who actually knows about tea, asked us to pick out a "second growth assam" for him and they had about 10,000 options and had us smell each before we decided on one that smelled the best (to us, at least). *Lunch: L&apos;As du Fallafel - Emily and Geoffrey sent us here and they were right—it&apos;s totally delicious, and was the perfect thing to grab on the go during a heavy walking day. 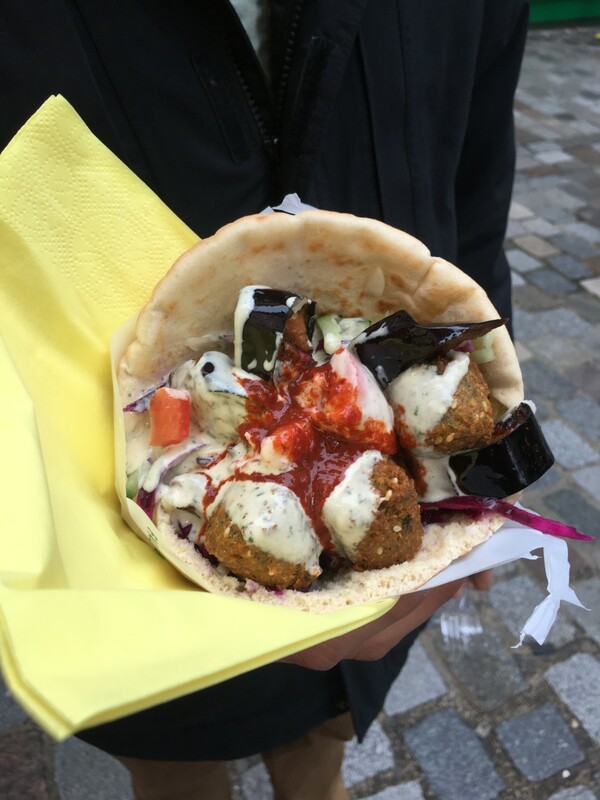 I&apos;m not the biggest fan of falafel, but this was some of the best I&apos;ve ever had and the marinated eggplant was incredible. *Snack: Berthillon - This gelato spot on the Île Saint-Louis is so charming and has some of the best fruit-flavored ice cream. We got several scoops of mango, red currant, peach, and wild strawberry that tasted almost better than the real thing. 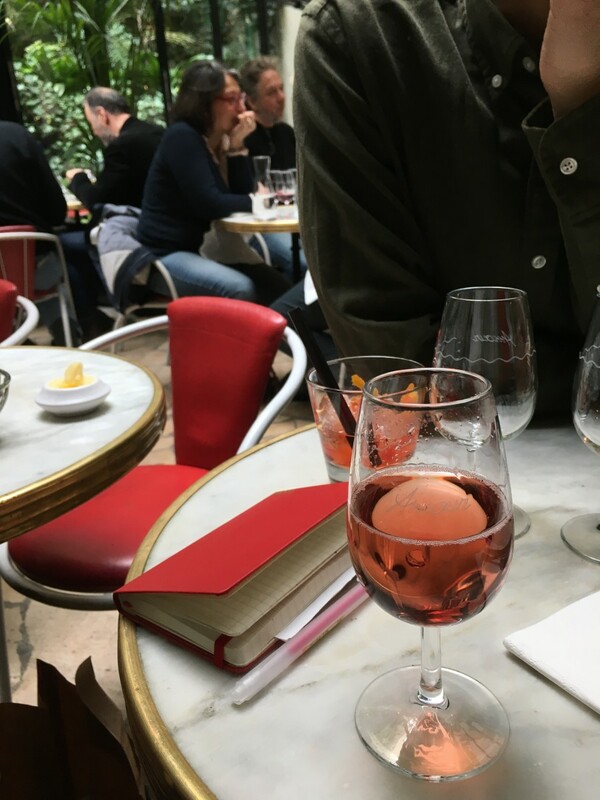 *Drinks: St. Regis Île Saint-Louis - Since it started raining when we were walking with our ice creams, we ducked under the covered patio at this bistro for a drink (a kir for each of us). The people-watching was first-rate and it was on the cutest corner, with a bridge leading over the Seine in the background. ***Grocery/ Snack: Maison Plisson - We walked past this grocery store on the way to dinner and it was so beautiful, I had to stop inside. It reminded me of a gourmet grocery store along the lines of Eli&apos;s in New York—I wanted literally every single thing, but I left with a jar of petits saucissons to further fuel my addiction. ****Dinner: Clown Bar - This was one of our favorite meals of the trip—it probably helped that we started it with glasses of Champagne (which I found was way less expensive in France, I&apos;m guessing since it doesn&apos;t have to be exported/taxed internationally). Our favorite dish was—of all things—veal brain in a yuzu-dashi broth, though I almost lost it when my boyfriend said mid-bite, "Isn&apos;t it crazy this thing used to think?" 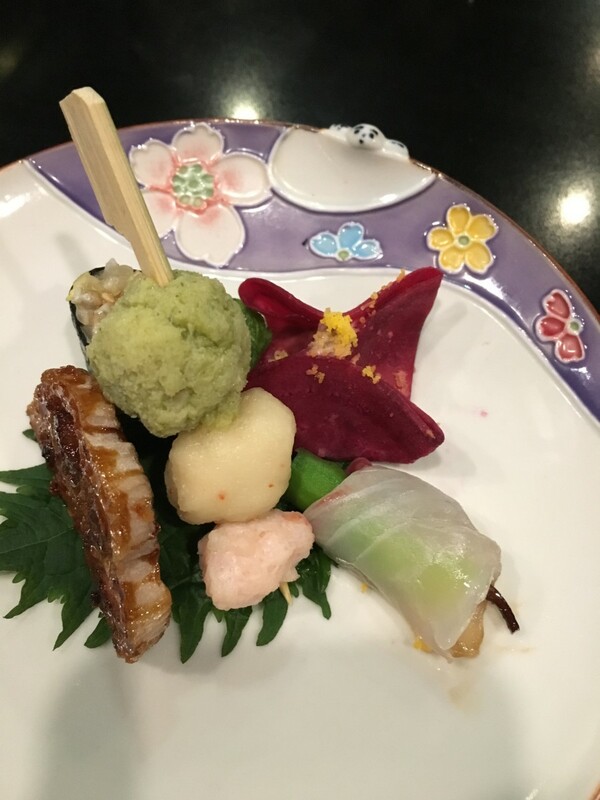 It had the texture of soft tofu and a very subtle flavor that was mostly disguised by the yuzu. 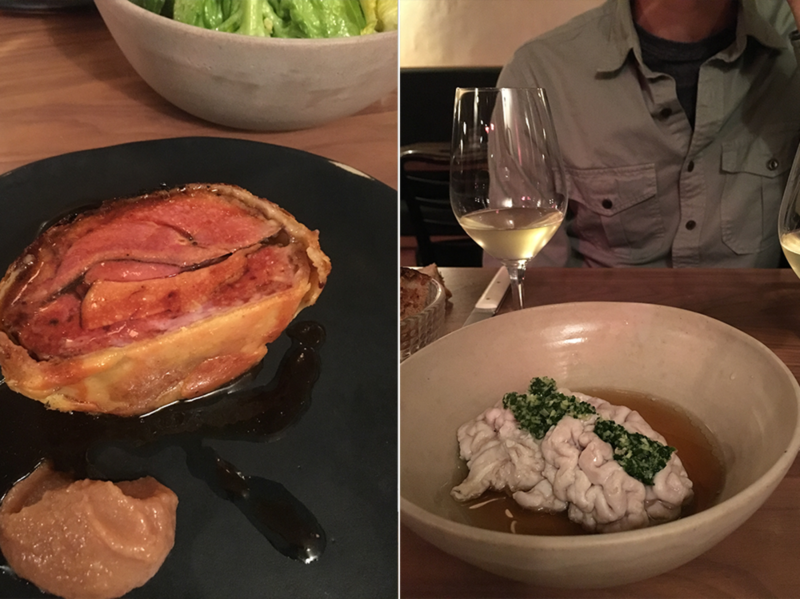 We also split the most decadent foie gras and duck "pie" (which you can see on the left), which had a richness that was balanced by a gem lettuce salad, and a bottle of a funky orange wine. *Coffee: Loustic - This was a busy day, so we hit the ground running with another café crème and croissant. 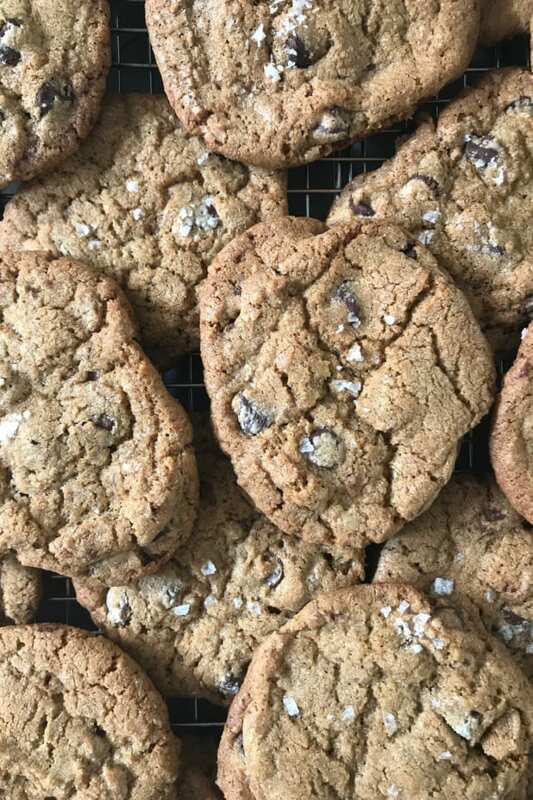 *Snack: À la Mère de Famille - We stopped by our favorite chocolate shop to get some gifts, and couldn&apos;t leave without a scoop of vanilla ice cream drowned in caramel. ***Lunch: Huîtrerie Régis - This restaurant caught my eye when I learned that they specialize in oysters and there&apos;s a minimum of twelve per person. We were the only non-French people in the tiny restaurant (go right at noon when it opens—it was full within about ten minutes), and ordered our requisite twelve oysters per person and a glass of wine each (which isn&apos;t a requirement, but there wasn&apos;t a person in the restaurant without one). 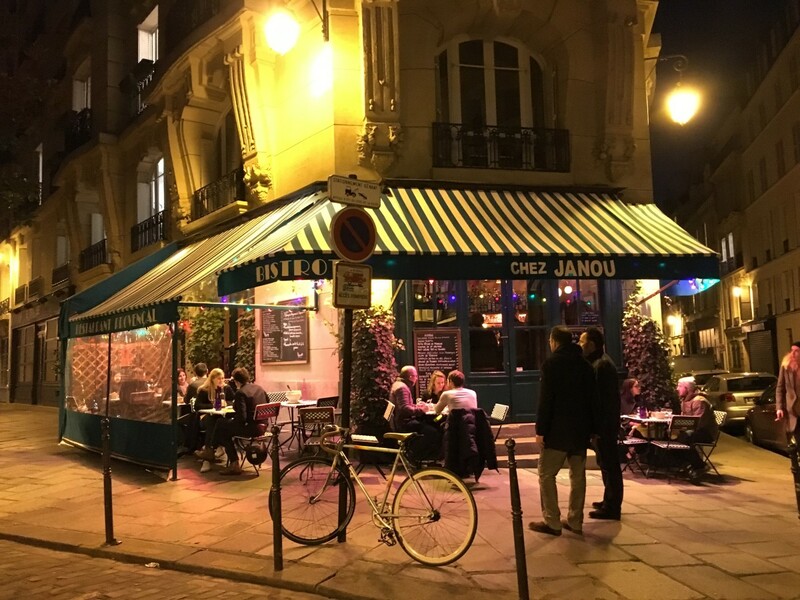 *Drinks: Café de Flore - This is one of the oldest bistros in Paris (it opened in the late nineteenth century!) and has so much history—it was a favorite of Picasso and philosopher Jean-Paul Sartre. I had a kir (no surprise) and my boyfriend had a glass of Sancerre, and we sat for hours watching people walk home from work. ***Dinner: Septime - This was one of the meals we were most looking forward to on our trip, and it lived up to the hype. Over the seven courses, we had chicken with black truffles, roasted endives, oysters in a mushroom broth (I&apos;ve never eaten so many oysters in one day), and a lot of wine. *Coffee: Boot Cafe - This little café won me over—we had a delicious berry pastry and (you guessed it) a café crème. The best part though was running into a Cupcakes and Cashmere reader outside! She and her wife were on the last stop of their honeymoon and were so adorable and adventurous—it was their recommendation that encouraged us to go to the Catacombs (which is a story for another post!). Thanks, Bridget and Headley! **Snack: Frenchie To-Go - We got the bacon maple scones at Frenchie&apos;s super-casual to-go place next door (they also have a wine bar and store on the same street) because they were that incredible. *Snack: Boulangerie Terroir D&apos;Avenir - As if we hadn&apos;t eaten enough, we also split a croissant from the bakery next-door to Frenchie. We had about an hour this morning before we had to leave, so it&apos;s honestly mostly a blur but after getting two sandwiches for the plane from Caractere de Cochon, we hit up as many bakeries as possible and ate about 15 croissants. Our favorite? Mireille (the same place I got the massive meringue from earlier in the week!). - French people do not eat dinner before 8 PM. Our reservations were all between 7 PM and 7:30 PM (was often the first reservation offered) but the restaurant would rarely be full until an hour later, when French diners would finally pour in. - Make time every day to sit outside of a bistro with a drink—this was my favorite thing we did every day. - Don&apos;t be afraid to go somewhere even if you see a ton of Americans there—they may have also read the same advice post you read (learned this from Chez Janou). - Try to experience a good mix of traditional and innovative. Before leaving home, I made a mental list of foods I wanted to have—croissants, croque monsieur, traditional duck—to ensure that I didn&apos;t leave France without having something I really wanted to try.